This brand new DVD was again recorded in the Wyspianski Theatre in Poland on April 2011. 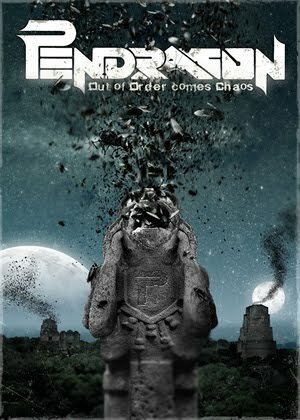 The gig lasts for more than 2,5 hours and Pendragon, the best neo prog rock band of this time, play 16 tracks! In fact the setlist is a journey through time as you can enjoy "old" classics like Paintbox (from The Masquerade Overture, 1996), Shane, Prayer, Back In The Spotlight (The World,1991) and Not Of This Wolrd and If I Were The Wind from Not Of This World (2001). Furthermore you can enjoy songs from their two latest albums Pure(2008) and Passion(2011), of which This Green And Pleasant Land and Indigo are probably the best songs on the entire DVD. The band is in great shape and the sound is really remarkable; crystal clear and spot on; especially the guitar solos of Nick Barrett are really out of this world... The DVD also includes a video documentary about the band's life on tour and a video with behind the scenes footage, an interview with Nick and more. The album is also available on Blu-Ray for the first time in the history of the band. This is one of the best DVDs I have ever seen and heard and therefore a must for lovers of excellent melodic prog rock! Buy or die!